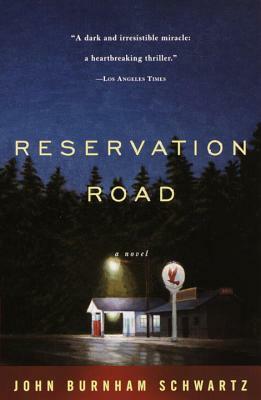 A tragic accident sets in motion a cycle of violence and retribution in John Burnham Schwartz's riveting novel Reservation Road. Two haunted men and their families are engulfed by the emotions surrounding an unexpected and horrendous death. Ethan, a respected professor of literature at a small New England college, is wracked by an obsession with revenge that threatens to tear his family apart. Dwight, a man at once fleeing his crime and hoping to get caught, wrestles with overwhelming guilt and his sense of obligation to his son. As these two men's lives unravel, Reservation Road moves to its startling conclusion. This is an astonishing tale of love and loss, rage and redemption, that is as suspenseful as it is emotionally compelling. John Burnham Schwartz lives in New York City. "This is a shattering book, imagined with startling emotional precision and generosity. And though it begins in catastrophe, Reservation Road turns out to be a kind of map of connectedness: Touch a child here and the whole world trembles out of orbit; everyone bleeds; finally, perhaps, after great pain, everyone heals. John Burnham Schwartz is awfully young to own this much wisdom, but there it is, on every page." "A powerful and affecting novel...haunting...highly suspenseful...compelling to read." "A poignant thriller...quietly breathtaking...a suspenseful literary novel"
"A pleasure to read. Suspense is redefined here..."
"A lovely book, full of life and feeling"
"One of those rare--very rare--novels that you don't so much read as inhabit...But it's the novel's conclusion, as perfect as it is sudden, shocking and completely unexpected, that will stick in your memory." "A beautiful novel. An important novel"
"Both a beautiful, wrenching story of redemption, and a novel of exquisite suspense"
"A first-rate work of fiction disguised as a page-turning thriller"
"An unexpected pleasure...It will leave the reader entranced as well as moved." "A non-stop read...a wonderful writer"
"A triumph of form, pacing and power...character-driven as it is, it reads like a thrille, swift and complete." "It possesses a conclusion of such power that it would be a literary crime to reveal it."